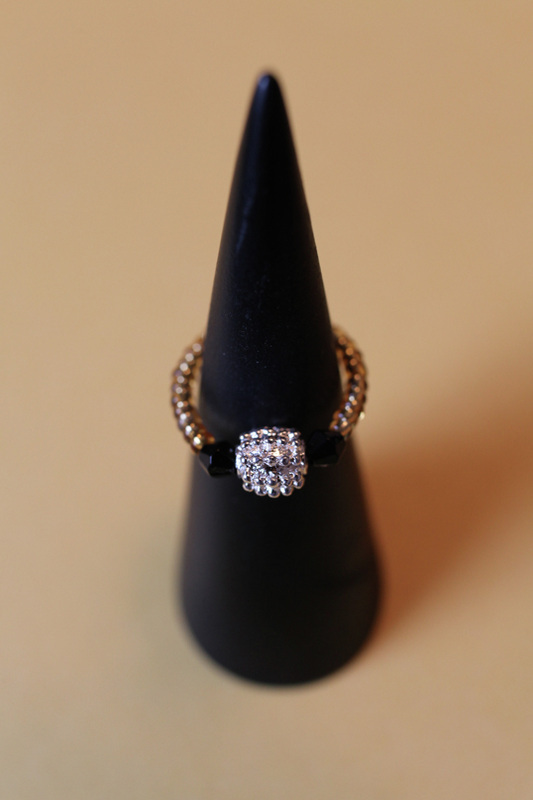 Simple with a hint of elegance, this ring is crafted out of black seed beads, silver-plated metal bead, and jonquil bicone swarovski crystals. Simple with a hint of elegance, this ring is crafted out of topaz seed beads, silver-plated metal bead, and black bicone crystals. Love is in the air with this pretty turquoise resin ring. Matching earrings available. Feeling romantic? Express your emotions with this pretty pink resin ring. Feeling romantic? Express your emotions with this pretty black resin ring. Feeling romantic? Express your emotions with this pretty hot pink resin ring. Feeling romantic? Express your emotions with this pretty peach resin ring. Matching earrings available. Love is in the air with this pretty turquoise resin ring. Feeling romantic? Express your emotions with this pretty purple resin ring. Feeling romantic? Express your emotions with this pretty turquoise resin ring. Matching earrings available. Feeling like wearing something different? Be stylish with this funky wax ring. Matching bracelet available. Be stylish with this funky wax ring. Matching earrings available. Be stylish with this funky wax ring. Be stylish with this wax funky ring.